Steel is a type of alloy or a mixture of metal with other elements such as carbon and iron. Stainless and mild steel are two of the most popular members of this alloy family thanks to their many applications, including use in automobile, infrastructure, and fabrication projects. Take a moment to learn about the differences between these steel types to determine what’s right for your upcoming job or project. What’s the Difference Between Stainless & Mild Steel? Stainless steel will not rust, tarnish, or stain. Its non-corrosive nature is due to chromium and nickel content that make up almost 30% of the metal’s weight. This steel also enjoys excellent impact resistance because it is extremely hard despite its relative malleability. 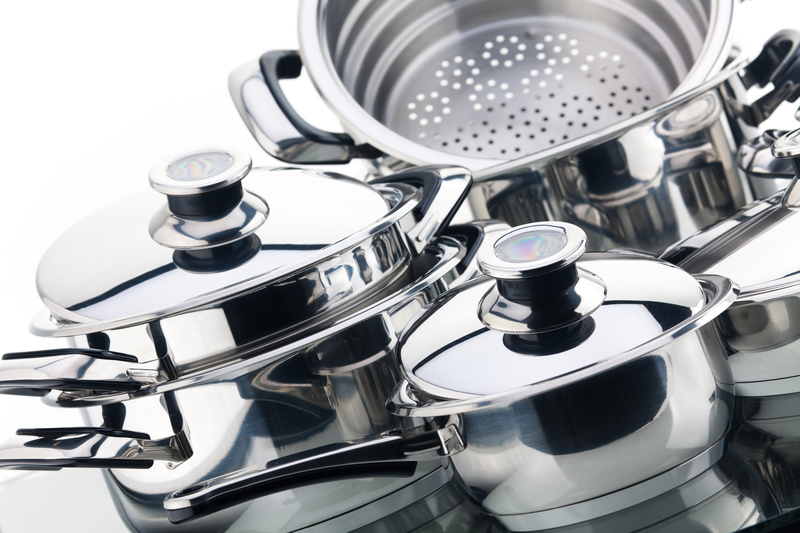 These properties make stainless steel a popular product for kitchen appliances and cookware, aerospace, industrial, and automotive structures, surgical instruments, and household hardware. The metal can also feature magnetic properties. Keep in mind that because chromium is a heavy metal, serious exposure to its dust can cause health problems such as respiratory irritation and asthma. Overuse of stainless steel kitchen appliances may also cause adverse health effects because chromium and other heavy metals can leach into food. Mild steel features carbon rather than chromium as the main alloy and will corrode without application of a galvanizing product. Its hardness is low compared to stainless steel; however, mild steel hardness increases with carburizing, a type of heat treatment in which steel absorbs carbon-heavy materials such as charcoal. Mild steel is also stiffer than stainless options and stronger than iron. It is magnetic and commonly used in electrical appliance and motor creation. If you live in a coastal or semi-tropical or tropical environment, use a protective coating to keep mild steel from oxidizing. Steel fabrication and distribution has formed the foundation of Douglass Steel for nearly 50 years. The family-owned and -operated company based in Mountain Grove, MO, uses only the best quality materials and adheres to the highest workmanship standards to provide clients with the products they need quickly. Call (417) 926-5589 today with any inquiries or visit the team online for more product and service information.